The political structures of the Scandinavian nations have long stood as models for government and public policy. This comprehensive study examines how that “Nordic model” of government developed, as well as its far-reaching influence. 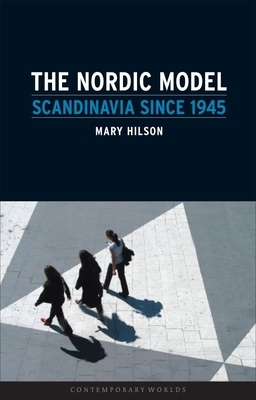 Respected Scandinavian historian Mary Hilson surveys the political bureaucracies of the five Nordic countries—Denmark, Finland, Iceland, Norway, and Sweden—and traces their historical influences and the ways they have changed, individually and as a group, over time. The book investigates issues such as economic development, foreign policy, politics, government, and the welfare state, and it also explores prevailing cultural perceptions of Scandinavia in the twentieth century. Hilson then turns to the future of the Nordic region as a unified whole within Europe as well as in the world, and considers the re-emergence of the Baltic Sea as a pivotal region on the global stage. Mary Hilson is senior lecturer in contemporary Scandinavian history at the University College London. She is the author of Political Change and the Rise of Labour in Comparative Perspective: Britain and Sweden 1890–1920.